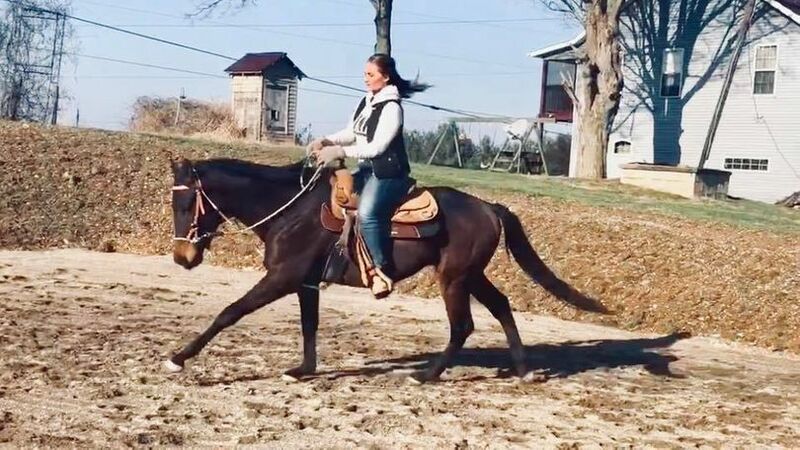 Midnite is a 3 year old TB gelding, 15.2 hh. 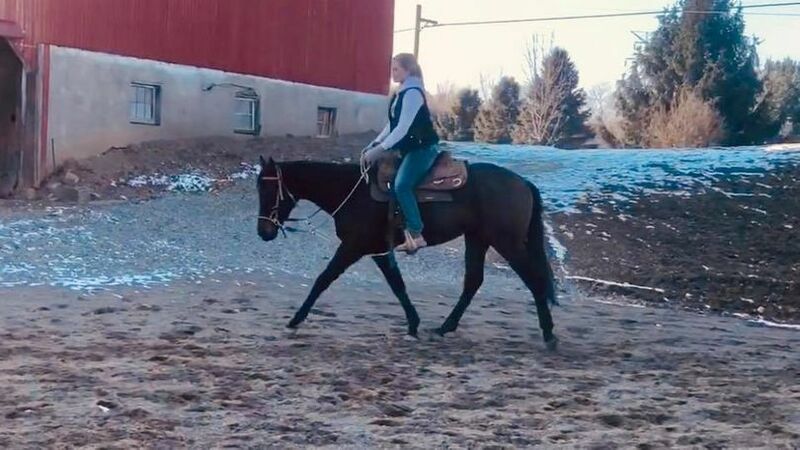 Owner surrender/abandon situation, this nice gelding with the kind eye has gone into the CHC Transitional Training Program and we can’t wait to see his progress with one on one training. Midnite is sound, good minded and sweet. 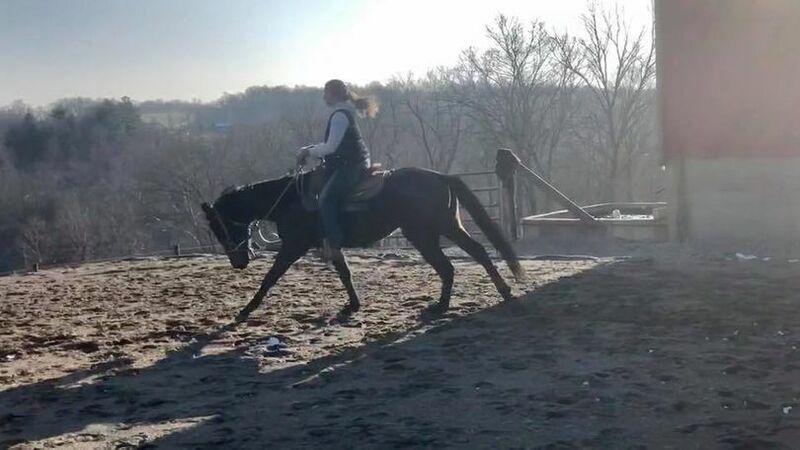 In his first weeks here we put some more weight and muscle on him before asking for much more under saddle than just accepting a rider, which he did willingly. I think it’s important to show manners on the ground. 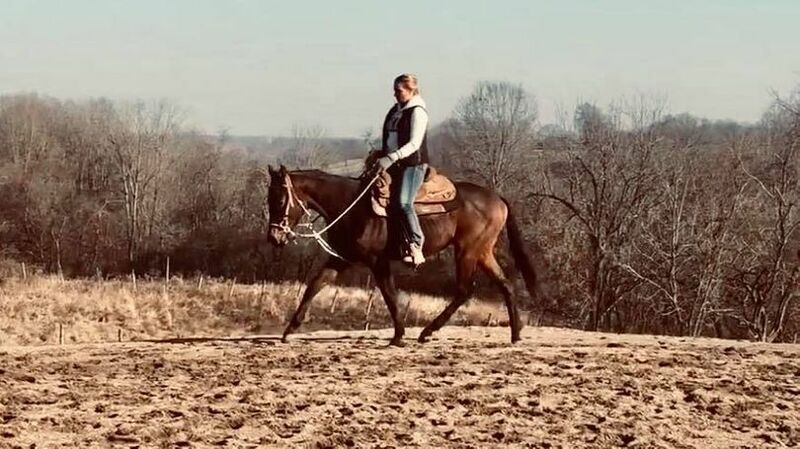 He is a pleasure to work around and stands quietly to be blanketed and have blanket removed , to be saddled and unsaddled, picks up all 4 feet well, moves his body around for you and is doing great with desensitization. Adoption price will change with training. Text or call Julie for more information.